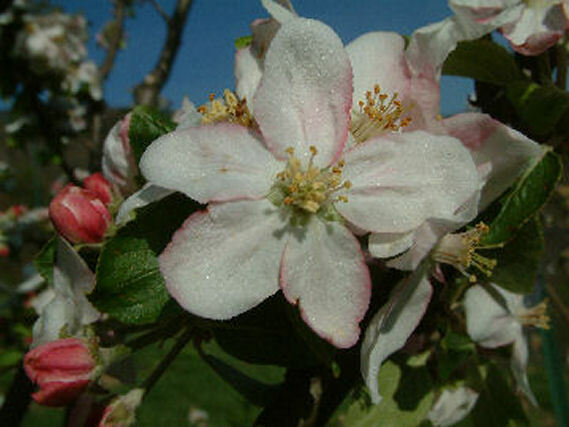 A beautiful apple of obscure origin. 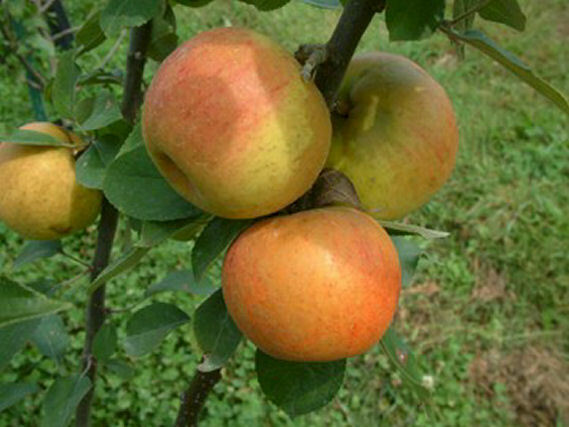 Golden Pearmain is believed to be one of the original apples grown in Thomas Jefferson’s orchards in Monticello. The medium-sized, somewhat conical fruit has an attractive golden-orange skin, marbled and striped with red and bronze. The fine-grained, yellow flesh is firm, crisp and juicy. Ripens in October and is a fair keeper.